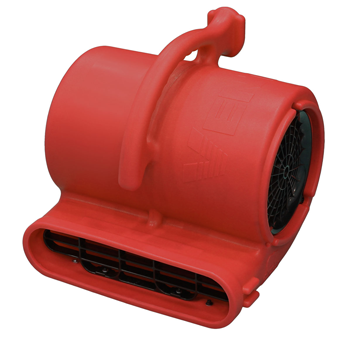 The Flex FX-1 centrifugal blower from B-Air. This is as small as it gets! If you need more air for your dehumidification job, but the room is too cramped for normal centrifugal blowers, the Flex FX-1 is a versatile and efficient product, super easy to handle, and it only weighs 5 kg. The Flex FX-1 helps dry any small or difficult to reach space whether it be closets, under counters or into drop ceiling panels. Use the Flex's versatile design in 2 different angles, (horizontally or 90°) to allow air flow in the desired direction. New generation centrifugal blowers from B-Air – Vent VP-50. Plenty of air circulation is important for a fast and efficient drying of water and moisture damaged buildings. The multifunctional design makes it possible to use the Vent in 3 different angles (horizontally, 45 and 90) so that air can flow in the desired direction. Because of its low weight and compact design, the Vent is easy to carry and does not require much storage space. Vent VP-50! A new type of centrifugal blowers with everything you need: extremely high performance, low power consumption and super convenient in use! 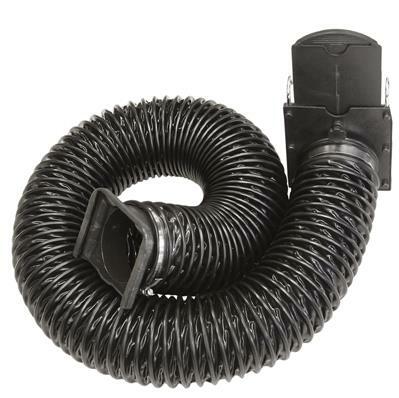 Flex Duct Dryer Kit drying equipment is specially designed for installation on the Flex FX-1 fan. The adapter kit comes with a 2.4 mtr. long flexible high quality vinyl hose which facili-tates venting of hard to reach areas with an adjustable "gate" that regulates the airflow. Easy mounting and detachment. Low Amp draw, balanced airfl ow characteristics and maximum velocities of 1741 m3/h are the foundation on which the Phoenix Centrifugal Air Mover is built. We made sure the body was the most rugged and durable it could be, to stand up to the rigors of the restoration industry. The low current draw makes it possible to use several centrifugal air movers on a typical household circuit without overloading the system - e.g. in case of water damages.